The first topic to address is the fact that if you are going to be installing a tender on your vessel, make sure you spec out the proper weight tender and the fit with a reputable dealer prior to the tender purchase. Many buyers over tender their vessel and find that they have made a very expensive mistake. Fitting a tender on a yacht is both an emotional and technical purchase. The first thing I tell customers that walk into my dealership is look around but "don't fall in love with a tender" until I look at your big boat, to check for the optimum fit. Once you have done this you can then proceed with your search to find out what is available in your particular area or on the Internet. We specialize in shipping tenders world wide to our customers, to your door or marina. If you are able to consider a console tender, most console tenders are manufactured with hypalon material for the tube set, this is a very durable long lasting fabric which will last a long time if cared for properly. The next important item to consider is seating capacity and your family size, as well as the comfort of the seating in the tender. Tender storage is another feature that is important, due to the small size of these boats, make sure you have ample amounts of storage to store all of your belongings. 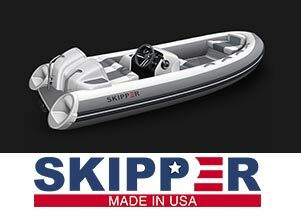 Once you have decided on the tender that best fits your needs, then you need to consider what options that don't come standard on the tender would you like to have ex: cover, bimini top, VHF, GPS, stereo, deck lights, underwater lights, trailer, chocks, etc. In closing make sure you are in good hands with the dealer that you choose, remember you are not only buying a tender you are buying the dealer as well both pre-purchase and post sale. If you have questions on what fits your vessel, go to our website and reach out to us we can assist you with that.